Pergolas are a cost effective way to retro fit an extremely user friendly outside entertaining area to a new or existing dwelling. At Mortar Life we are very green living orientated and pride ourselves on using recycled and reclaimed building material. With a Carpentry background to building we are very pro recycled timber when building interesting outdoor structures and garden features. As you can see in some of our recent projects we have used some very interesting recycled and reclaimed timber as post for 2 pergolas and 1 home extension. 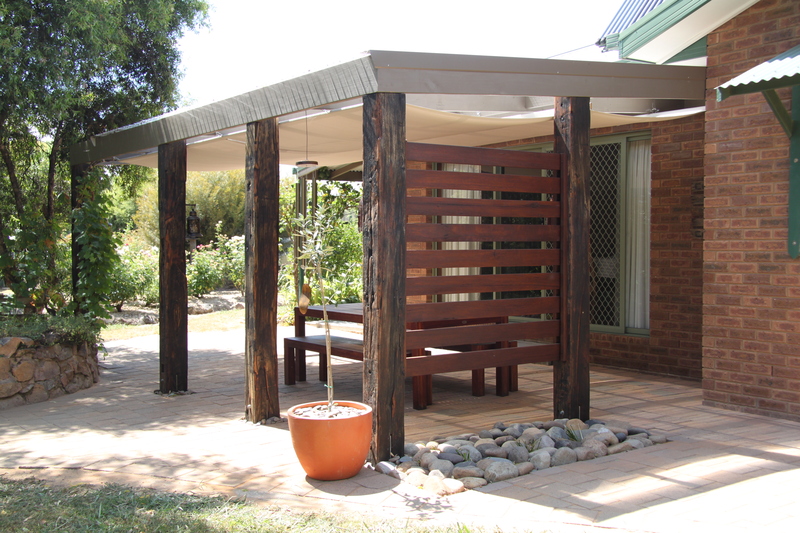 In the Oxley project we used Yellow stringy bark for the posts. These were removed from the old Barwon Heads Bridge that spanned over the Barwon River in Ocean Grove many years ago before the upgrade. They look fantastic against the county garden background and always create an interesting conversation focal point when entertaining. 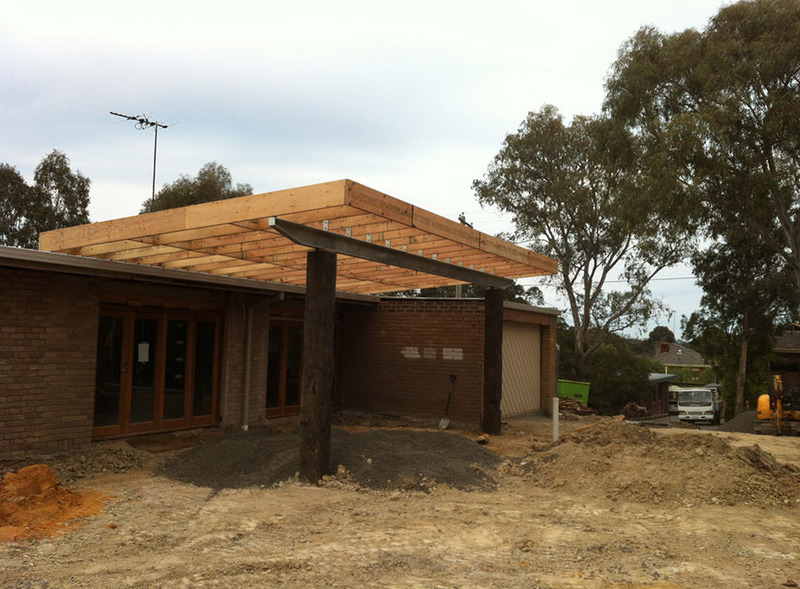 In the Templestowe project we used two 300mm x 300mm Iron Bark posts for the main structural uprights. These 2 monster posts were recycled from an old Williamstown slip way (A timber structure that ships were built on and used to slide the ships into the water) that was originally built well over 100 years ago. The garden stair case is the Yellow Stringy Bark from the Bawon Bridge. These kinds of materials are not readily available these days as it is old growth forestry that took hundreds of years to grow. The Eltham project was a Mud brick beam and post constructed extension. 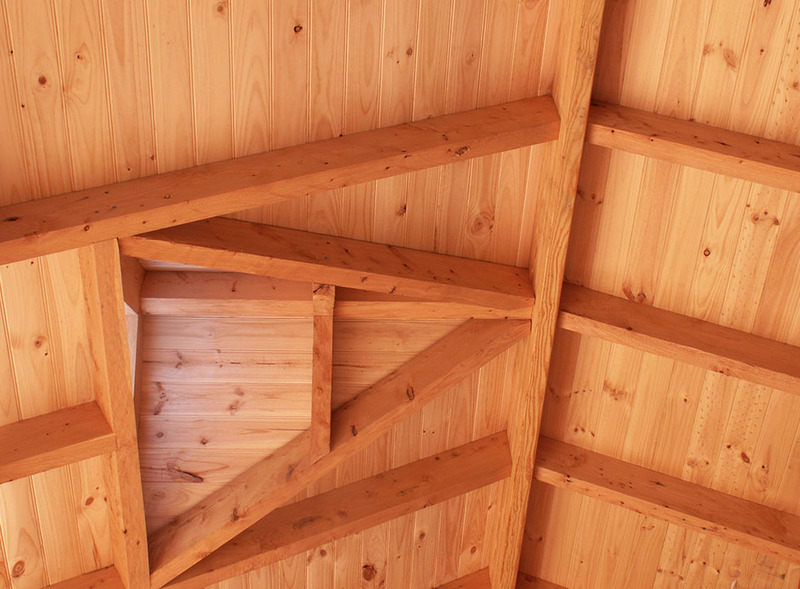 The use of reclaimed Cypress Pine post & beams were a great addition to the native surrounds Eltham is famous for. Reclaimed timber or rescued timber is the term used when trees are removed for the purpose of agriculture use or industrial developments. In the days of old these trees were generally piled up and burnt, now days these trees are rescued and used in the construction and furniture industries. The Eltham extension was a very technical project and one we are very proud of. It has a combination of different building techniques that are blended into a superb looking home. The use of Mud Brick, Concrete filled block work, rendered light weight foam and tradition Carpentry work built on a very tight budget make for a very appealing dwelling. 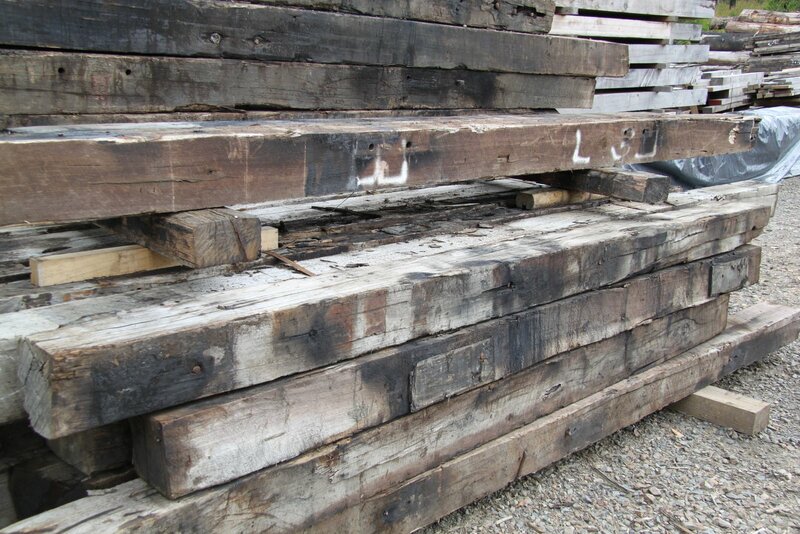 All the exposed timber is reclaimed from a supplier in Marysville.